Silhouette is your new best friend on the desk, complementing any space, be it at work or in the home. 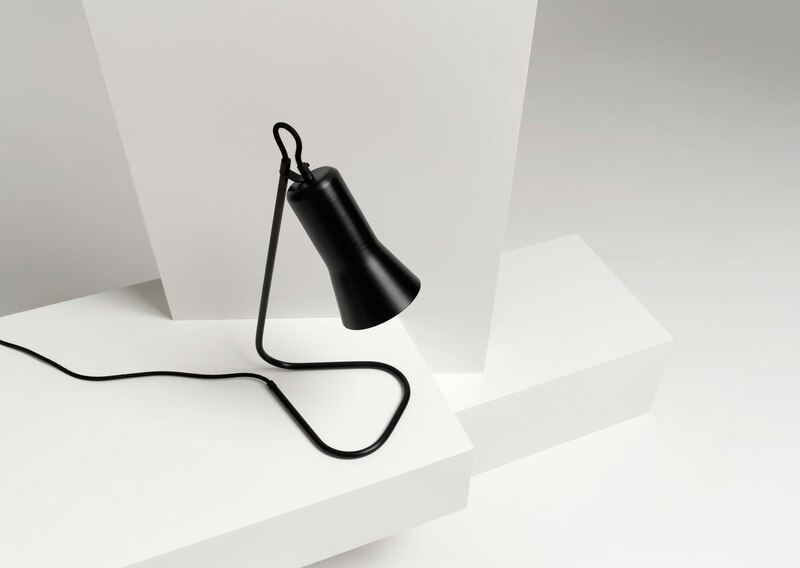 The lamp’s bent metal stand is a playful continuation of the black cloth cord, which threads right up through and back down into the shade. Available in anodised black or gold aluminium as standard finishes or in solid copper or brass as precious metal finishes, the gently fluted shade will cut a beautiful figure on its own, or as a grouping of mixed finishes. The product comes with an 5.5W LED globe, switch and plug. Please note: Silhouette is non-adjustable and features a bracket which is bent at a fixed angle.